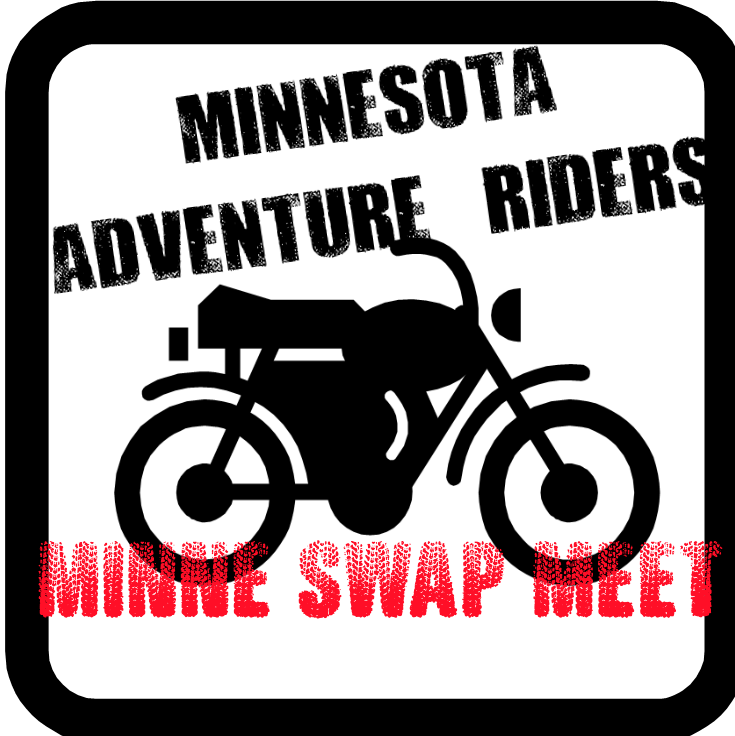 The 3rd Annual Minnesota Adventure Riders swap meet will be held on April 18th. This year we are also encouraging this as a “Ride-in” to kick off the riding season. So get the bike polished (or just leave it covered in mud) and ride it in. The location is HAS CHANGED. It is now at Highland Park in Saint Paul just a half mile north from our normal location. This is centrally located just off West 7th and Montreal Ave. From 35E exit West 7th street, head west on West 7th, go north on Montreal, and your first right will be the park. The shelter is tucked back in behind the playground at the end of the parking lot. When: April 18th, 9AM – Noon. Sellers are encourage to arrive at 8:30 to setup. Sellers: About 6 picnic tables are available, but prepare to bring your own table, boxes, etc. to display your merchandise. No cruiser or sport bike stuff, let’s keep this focused on Adventure, Touring, and Dual Sport bikes. Bring one item to sell or a bring a trunk full, it doesn’t matter. A shelter is available to put your tables under, but space is limited. -aftermarket exhaust, sprocket, chain, factory handlebar clamp. and other DRZ400E parts. -Tools; Smith gas torch set, like new (no tanks), pipe die set, large pipe cutter, vintage Craftsman blow torch, and a bunch of small tools. This entry was posted on Thursday, April 2nd, 2015 at 8:17 pm and is filed under Events. You can follow any responses to this entry through the RSS 2.0 feed. Both comments and pings are currently closed.